Jugendstil in Weimar was an example of how the new style served as a symbol for a cultural renewal project involving cosmopolitan and elitist aspirations in a Nietzschean manner. As occurred in Hagen and Darmstadt, the beginnings of what came to be known as "New Weimar" has a name: the diplomat, printer and patron of the arts Count Harry Kessler. Between 1901 and 1906, when he was advisor in the Prince's court, Kessler worked to restore Weimar as the spiritual heart of Germany and a homeland for all Europeans, as it had been during the time of Goethe and Schiller. In order to do this, he had the support of both Elisabeth Förster-Nietzsche, Friedrich Nietszche's sister and the instigator of an archive for his posthumous works, and Henry Van de Velde, whom Kessler invited in 1901 to take charge of renewing the city's architecture and industrial arts after Van de Velde's success in Berlin. Kessler was convinced that art improved the spirit and he believed in a plan for social reform that involved the cooperation of artisans, artists and industrial designers, as proposed by Van de Velde. The tandem team of Kessler-Van de Velde immediately began to provide results. 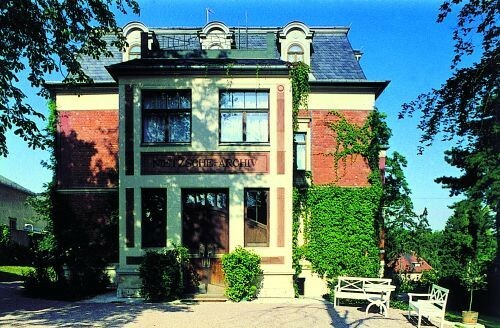 Kessler became director of the Museum für Kunst und Gewerbe (Museum for Arts and Crafts) in 1903 and converted it into a centre for artistic modernity, through which passed painters and sculptors like Seurat, Signac, Nolde, Monet, Gauguin, Cézanne, Rodin and Maillol. However, the mark that Van de Velde left behind in Weimar is many-sided. 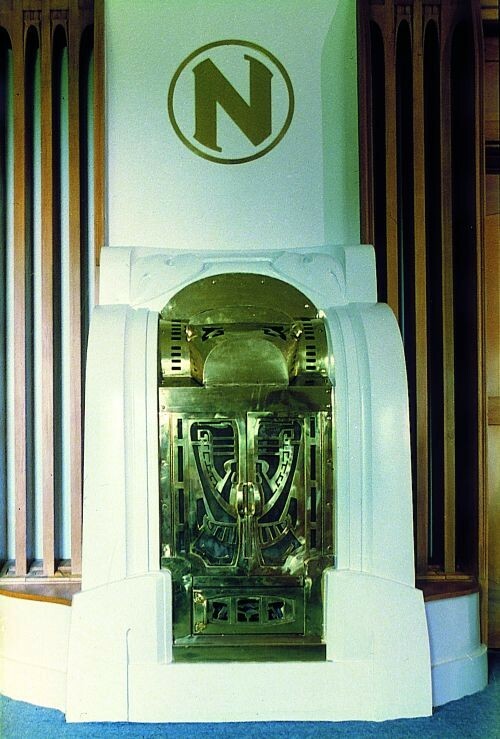 He was commissioned to design and supervise many of the projects for the city's business community, such as for the jeweller Theodor Müller or the cabinetmaker Scheidemantel. 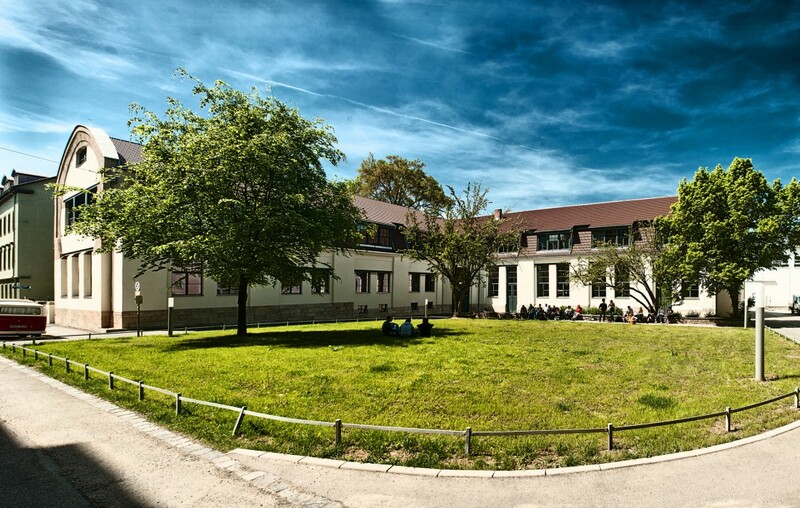 And between 1902 and 1906, he presented a seminar on the industrial arts and this led to the setting up of a public school with its own building: the Kunstschule, which he designed and which was the first Bauhaus office, continuing his activities. Van de Velde represents the specificity of Jugendstil in Weimar in terms of its interest in the constructive and functional above that of design and architectural decoration and the integration of arts into one space. Although it is also true that an ornamental, surface style can be seen in the south of the city in the houses designed by the local architect Zapfe. Van de Velde's first projects were based on interiors, such as Kessler's house and the Nietzsche archive. In 1904, he was commissioned to design two public buildings, a theatre and museum, but these were never built. 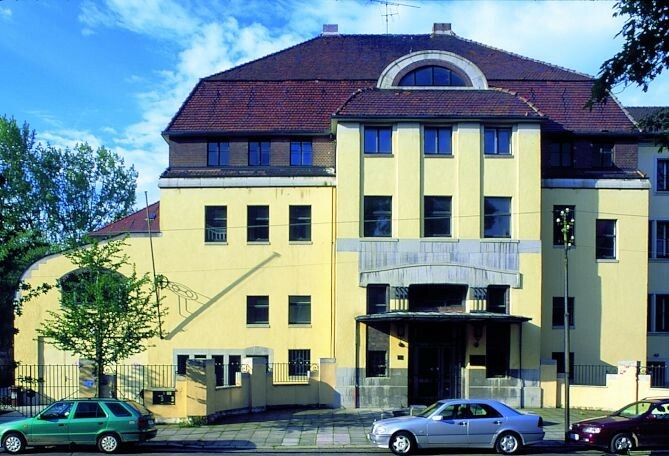 It was only between 1906 and 1915 that he worked as an architect and some examples of his work are various villas and the Kunstgewerbeschule building.